which equates to substantial cost savings. Coil is suspended from ID - Always stays vertical and indexed with tamer. 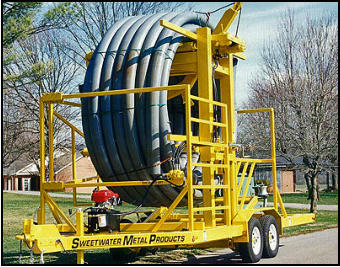 Threading Rollers - Guides pipe into tamer and supports the pipe. 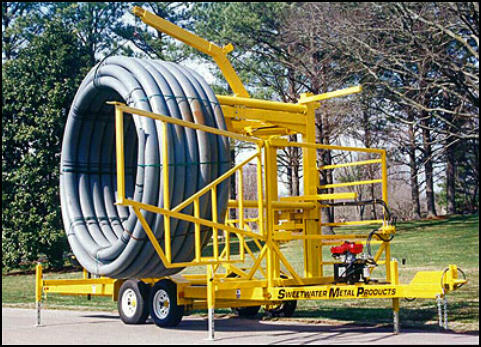 Self Loading - Self storing load arm. Built in powered hoist. Loads vertical or horizontal coils. Outriggers - Stabilize the trailer while loading coil. Side Loading - Nothing to remove, just open the gate and hoist the coil in. Totally Self Contained - Nothing else required. No reel required. 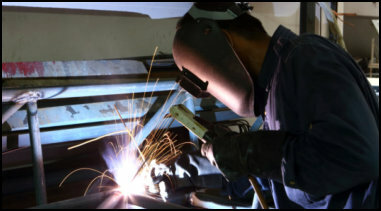 Safety Cage - Protects workers from inadvertent release of coiled energy. Adjustable Side Gate - Adjusts to the width of the coil. Hydraulic Power Unit - Gas driven. Meets DOT regs. 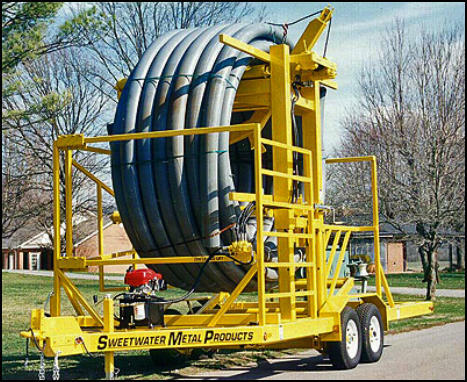 - Transport the trailer with coil loaded if required. Requires only two workers to operate. Overall Length - 27 Ft.